This slide show has been going the rounds, and I like it a lot. It reminded me of a Culmination Ceremony I attended when my daughter was singled out as the recipient of a special award. It was at Village Christian School, and the children had been asked to participate in a letter-of-encouragement writing campaign to the soldiers fighting to defend freedom in Iraq. We did not know at the time that our little girl had participated in the program, and when the announcement was made that a letter from a child at our school had been chosen as the most empathetic and grateful and well expressed, and that by acclaim from the soldiers overseas it had been selected, they had our attention. Then we were told that the author was now to come forward and read their letter. Well when my daughter’s name was called out, I was overcome with emotion. I could hardly see my way to the stage to try to take a photograph, everything was a blur. When I finally got back to my seat the fellows in the row were holding out tissues to me so that I could dry my eyes. Psalm 27:1-3 reads: "The Lord is my light and salvation-whom shall I fear? The Lord is the stronghold of my life-of whom shall I be afraid? When evil men advance against me to devour my flesh, when my enemies and my foes attack me, they will stumble and fall. Though an army besiege me, my heart will not fear, though war break out against me, even then I will be confident." Kind soldiers, whoever you are, I thank you for your loyalty and bravery. 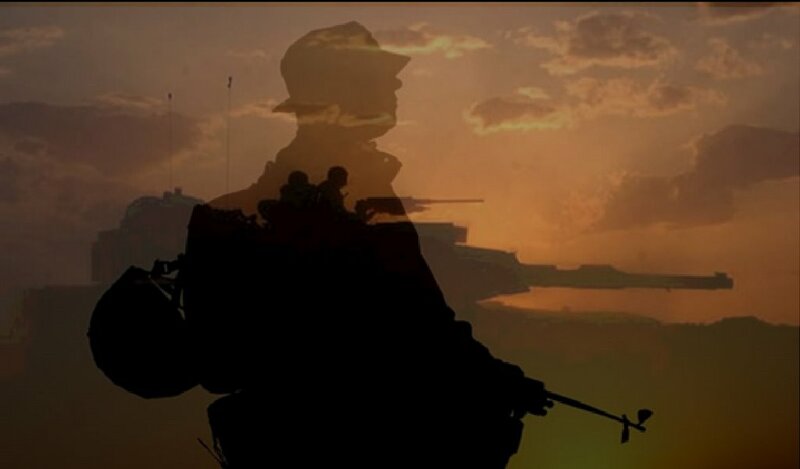 I know I am just a kid, but I care and I thank you for your sacrifices and hurts, your respect for the freedom of our country, and I would like you to know that through all your toils and pains I will be praying for you. Soldiers like you go through so many sadnesses and griefs. I know you don't have to do it, you don't have to see your friends die next to you, or drill in dangerously hot or cold weather from dawn till dusk. 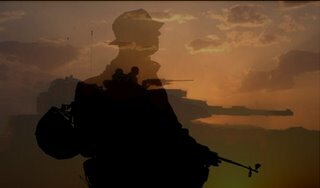 You soldiers are the ones who hold this country up, keep it strong, and make it brave. That position doesn't just deserve an "Oh thanks for being a soldier." No matter what rank you are, you deserve the utmost respect and encouragement. Dear soldiers, if you weren't where you are now, serving America, there might not be an America. Because of all the dangers you go through for this country without complaint and the respect you show towards all Americans, I give you my respect for every day you live and love America. You give up holidays, joyous family reunions, tucking your children in at night, spending time with your spouse, and greatest of all, sometimes you give up your lives. Though you may go through troubled times, God will always be watching out for you, so no matter what the situation is, you don't need to worry. 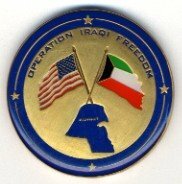 Dear soldiers in Kuwait, I want to give my personal thanks to you for your loyalty to our wonderful United States of America. 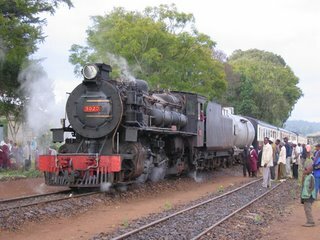 Ever since I had that first cup of chai in the guards van on the East African Railways and Harbors train going down to Mombasa, I have tried to combine spices to concoct a flavor that emulated it. I often visited the Jani family, when as a student I befriended Janarden and Rajendra (Babu and Raji) and had tea with them. 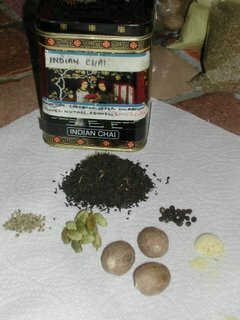 Their chai was very good but never quite as I remembered. I have found that black tea with a good lacing of ginger, and a little cinnamon with three or four cloves, some nutmeg, cardamon and fennel with cumin and pepper are what it takes. I like it most that way. Right on the guards van floor. And deftly threw it in. And poured it through a sieve. He put the sugar in. As good as in Bombay! 1. What are you doing Little Sir? 2. I want to have a look that's all! 3. Do you want some tea? 5. Slowly Slowly, very hot. 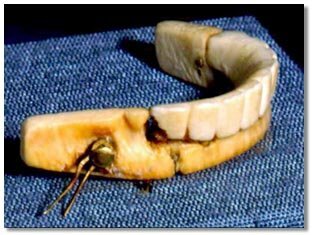 For years I have been correcting people who say that George Washington’s teeth were made of wood. They were not. They were carved in bone by John Greenwood his Philadelphia dentist. Cleaning them during the campaign was difficult so he soaked them in port wine which stopped them from smelling and made them taste better. The port wine stained the natural grain of the elephant dentine making them look wooden. Michelangelo Buonarroti, the extraordinary Italian sculptor and painter, contrary to the widely pervasive myth, did not fresco the ceiling of the Sistine Chapel lying on his back. It is a mistranslation of Paolo Giovio, the Bishop of Nocera’s “Michaelis Angeli Vita” where he used “resupinus” which means “bent backwards”and not as it has been erroneously translated “on his back”. Then of course there is Newton’s Apple. The Universal Laws of Gravitation did not occur to Newton after an apple had fallen on his head as he was gazing up at the moon. 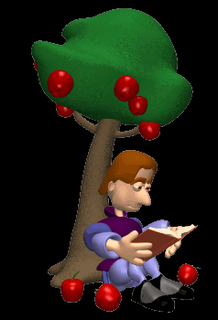 But there may be a grain of truth in the notion that seeing an apple fall started him asking why. In “Pricipia”he discusses the effect of objects falling under gravity. Of the cleverest female or male. Are really worth bandying about. Of the theory of gravity there. That popular myth is not true. So the next time you hear it please moan!